By Emily Guy Birken · Filed Under: Real Estate Investing · March 27, 2019 · Leave a Comment · Part-Time Money is supported by you. When you sign-up for services or buy something through links below, we may earn an affiliate commission. Learn more about how we make money. As many wealthy investors can tell you, real estate is a solid investment that can provide annual income as well as long-term growth. Unfortunately, buying real estate also requires quite a bit of upfront capital, as well as time, energy, and money for maintenance. Plus there is the risk of finding and keeping good tenants. Thankfully, individual investors no longer have to save up hundreds of thousands of dollars or become landlords to take advantage of real estate investments. Real estate crowdfunding has made real estate investing much more accessible. Real estate crowdfunding allows a group of individuals to use their collective money to do more than each person could do alone. The minimum investment for real estate crowdfunding ranges from as low as $500 all the way up to $20,000 or more. The best crowdfunding platforms do a lot of due diligence to weed out the bad deals. While that does mean you end up paying some extra fees for that, it also means you can feel more confident that you’re investing in a good property without having to be a real estate expert. Real Estate Crowdfunding makes real estate investing accessible to the average person. Fundrise does not even require you to be an accredited investor and you can get started with as little as $500. The law also allows this type of investment to be advertised online, which is not allowed for other types of pooled real estate purchases, such as commercial and apartment building syndication. Learn more about PeerStreet If you click this link and make a purchase, we earn a commission at no additional cost to you. As an investor with PeerStreet, your money is going into a real-estate-backed loan and you are offered the first-lien position. The first lienholder is the first person to get paid back if something happens to screw up the deal, and that protects your money in case of default or other major problem. Unlike the more traditional real estate investment trust (REIT), PeerStreet’s investments provide more transparency and flexibility for the investor. With PeerStreet, you have the ability to select from various portfolios of real estate loans. These loans are constructed of different property types, geographic locations, loan maturity dates, and more. PeerStreet also claims to have a lower fee structure than a traditional REIT, which allows the investor to capitalize on the higher returns offered by PeerStreet. You can expect to pay a servicing fee of between 0.25% and 1.00% with PeerStreet for each loan you invest in. All real estate loans through PeerStreet have been selected from vetted private financial institutions in the United States. The borrowers are proven experts in the real estate industry. According to their website, investors have historically earned an annualized return of 6% to 9% for loans with terms of 6-36 months. Read my full PeerStreet review here. 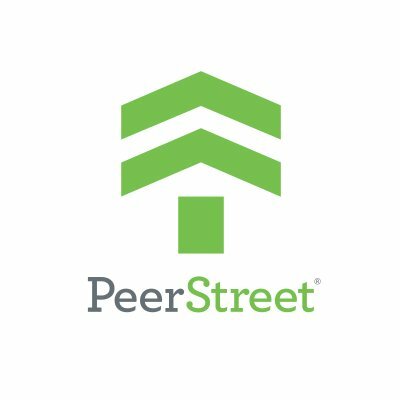 PeerStreet Connecting lenders (like you) with borrowers looking for short-term real estate loans! Get Started We earn a commission if you click this link and make a purchase at no additional cost to you. With Fundrise, you can choose either the Starter Portfolio or one of the three Core Portfolio plans. No matter which you choose, your funds will be invested in eREITs (non-traded REITs that each invest in multiple commercial real estate ventures focusing on income) and eFunds (private funds that invest in multiple commercial real estate properties, focusing on growth rather than income). The private real estate assets comprising your eREITs and eFunds are located all across the United States, and Fundrise tailors your allocation to fit your specific investment needs. Fundrise Dividend Reinvestment Program “DRIP” allows you to automatically reinvest the dividends you earn from your investments directly back into open offerings on the platform according to your plan. Your fees are kept to a minimum. There is a 0.85% annual asset management fee plus a 0.15% annual investment advisory fee, for a total of 1.00% per year. However, you may also pay other miscellaneous fees, so be prepared. One thing that really stands out is Fundrise’s 90-day satisfaction period. If you’re unsatisfied with your investment at any time during your first 90 days, Fundrise will buy back your investment for the original amount you paid. According to Fundrise’s website, the historical average annualized returns have ranged from 8.76% in 2016 to 12.42% in 2015. If you are an accredited investor you may make a single investment into a specific property (or small group of properties). Realty Mogul calls this a Private Placement, and this investment means a purchase of shares in a Realty Mogul limited liability company (LLC). That LLC will invest in an LLC or limited partnership (LP) that holds the title to the actual real estate. Why the Inception-level LLC investing? This allows the investment sponsors to minimize their overhead, and it offers you access to more investment opportunities. In addition, Realty Mogul streamlines its distribution reporting throughout the platform by offering LLC shares. Don’t let this overwhelm you, though. With Realty Mogul, the properties are rigorously pre-vetted (including boots-on-the ground inspection of the property and criminal background checks of the principles involved in the investments). In addition, you have more control over your choice of investment than you do with a REIT and can actually invest in individual properties. Typical investment horizons on Private Placement investments range from three to seven years with minimum investments between $15,000 – $50,000. The website does not provide information on historical annualized returns for these investments. In addition, the fee structure depends on the type of investment (investing in a loan or investing in equity) and the nature of the transaction. If you are not an accredited investor, Realty Mogul offers REIT options. MogulREIT I, offers a variety of different commercial properties. MogulREIT II focuses on multi-family apartments. Both REITs allow you to use retirement accounts for investing. The minimum investment for non-retirement accounts is $1,000. For retirement accounts, the minimum investment is; $5,000. Realty Mogul has capped its annual fee for these investments at 3%. According to Realty Mogul’s website, the historical average annualized returns have ranged from 8% to 11% for REITs. Minimum Investment: $15,000 – $50,000 for Private Placement investments, $1,000 for REIT. Investors with EquityMultiple have the opportunity to invest in institutional commercial real estate from all across the country. The platform focuses on fixed-rate deals with returns around 8% to 14%. Their target minimum deal is $500,000. The company pairs with experienced lenders for debt deals. This means EquityMultiple partially funds the loans other banks are making, rather than fund the real estate loans themselves. The in-house underwriting team offers a great deal of due diligence to ensure that investors are getting the best possible investments. How much due diligence? EquityMultiple only accepts 5% of considered deals. Debt investments typically have a servicing fee in the form of a “spread” between the interest rate being paid by the sponsor or originating lender and that being paid to investors. Accredited investors can get started with EquityMultiple with a minimum investment of $5,000 for some offerings, although the typical minimum investment is $10,000. According to EquityMultiple’s website, the historical annualized rates of return have ranged from 7% to 14%, depending on the specific investment structure. Minimum Investment: $5,000 for some investments (although $10,000 is a more common minimum). Real estate crowdfunding can give you the benefits of real estate investing without the call-in-the-middle-of-the-night headaches that come with owning and leasing out property. Though accreditation requirements may keep some potential investors out of some aspects of real estate crowdfunding, there are still options available for real estate crowdfunded investing for the non-accredited investor. Have you ever used any real estate crowdfunding platforms? Tell us about your experience in the comments!